Yesterday, Papa, his wife, Brother-in-Law, Child Bride, and La Petite, left for their annual family holiday to Corsica. They've been going to the same island holiday home there for years and years. It's more like an annual pilgrimage than a holiday, it's serious stuff Corsica is. The thing is this, The Husband has never ever been to Corsica and this makes me a little sad. It's not that he's never been to Corsica per se, but that he's never been on one of these annual family holidays. Not a single one, in his whole life. When your family goes on holiday without you, it can leave you feeling a bit lonely and left out so I was trying my best yesterday to make The Husband smile and happy (just like everyday) when a tiny miracle occured... an ad popped up on TF1 (kind of like NBC over here) announcing that Harry Potter would be on TV that very night! And not just any Harry Potter, the very first Harry Potter! Why did this make me so happy? Well because check this out... like Star Wars, The Husband has never seen a single Harry Potter (no Star Wars, no Harry Potter, no family vacations... it's been a sad, sad life for The Husband) so having the very first Harry Potter shown instead of like, the third one, was a magical stroke of luck, and I'm pretty sure the TV Gods did that just for him (thanks TV Gods). You see, just like Harry Potter, The Husband was sent away to boarding school when he was eleven. And even though that school was definitely not a magical school or anything, I was still sure that The Husband might be able to relate to the little boy that lived in the cupboard under the stairs and watching Harry, Ron, and Hermione battling evil and mean Muggles, would be just the thing to make him smile. So last night we cuddled up and turned on Harry Potter à l'école des Sorciers (as it's known around these parts) and you know what, The Husband smiled the whole way through, and I didn't feel sad anymore, and I don't think he did either, and that my friends, is the story of how Harry Potter saved the day in The LPV. P.S. In France Harry Potter didn't attend Hogwarts, he went to Poudlards. Isn't that just about the most ridiculous thing you've ever heard? Poudlards! That's plain poppycock if you ask me. I love the Harry Potters, even though I have not seen all of them. Such a magical story, that one. Thank the author gods for JK Rowling. I'm glad he liked it! And I too would be sad if my family went on vacations without me. Wait, they did. And I was sad. (Seriously my parents took my youngest 2 brothers on a Bahamas cruise and left me and the eldest at home because they planned it during the school year when we were at university. Ugh.) Anyhoo, I'm a little disturbed by it not being called Hogwarts. What do they call Hogsmeade? WHAT?!?!? I can't believe that was his first HP movie experience. Tell me he loved it!! I mean, he smiled the whole time, right? That means he did. He HAD to!! 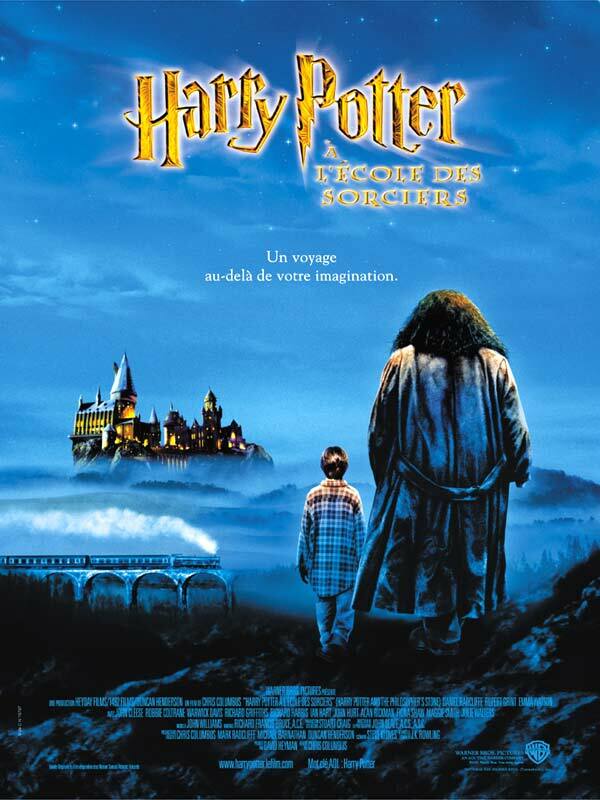 How was HP en francais? Weird? HP cures all. And yes, Poudlards sounds absurd. Oh we're thinking of going to Corsica next summer, I've never been before. I've also never watched or read any Harry Potter! But really, can you imagine a French person pronouncing "Hogwarts" anywheres near correctly? Harry Potter used his wand on you! Fabulous :) It's funny, I started the books before the movies were out...today's generation of kids (mine included), already had movie pictures in their minds, so they were/are not able to use Rowlings words to conjure up their own images. This makes me sad. (While I'm on the subject...and rambling...Jurassic Park the book is INCREDIBLE, and the movie didn't compare)....enjoy your Monday! Don't get me started about Poudlards. What on earth?! Aww, so glad you had a great time watching HP together and that it made your husband smile! Do you know that I have never read a book or seen a movie? Such a wonderful story...and Poudlards, I know! It's weird. Max and his family cannot understand how they translated Hogwarts into Poudlards. Their only explanation is that when you say Hogwarts with a French accent, it just sounds completely ridiculous. I saw all the Harry Potter movies for the first time this summer! 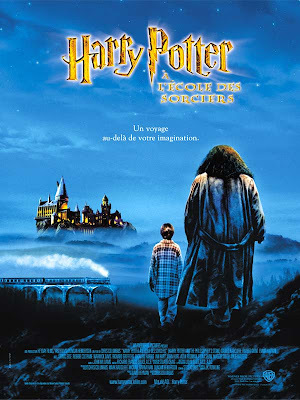 I have never read or watched any of the HP movies nor been to Corsica but I hope to go some day. I am also curious why the two of you aren't going on the family vacation to Corsica with the whole bunch? you are a loving and thoughtful spouse, sara — maybe someday you and gregory can travel to corsica together and start your own family tradition!! It's so sad that Gregory never goes to family vacation. And that he never watches Star Wars and Harry Potter (until tonight).Harry potter always saves the day! hehe that is a funny name instead of hogwarts but at least the hubby finally saw a harry potter film =D thanks for sharing this amusing post! ...and The Husband's heart grew three sizes that day! What!!! Who do these French translators think they are changing Hogwarts, poppycock! I'm so happy Harry Potter was able to put a smile on poor hubby's face! I haven't seen HP either. I know. I'm deprived. ... Isn't Corsica where Napoleon was exiled? Did Tf1 show it in English or French? It's so hit and miss with them. I'm glad HP came to the rescue. It's always a good sign to smile all the way through a movie (well not for the scary or mean bits, mind you). My favourite French translation in HP is that they call magic wands, baguette magique. It always makes me laugh.